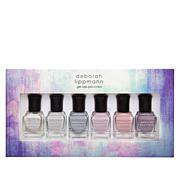 Whimsical nail lacquer shades inspired by Rebecca Minkoff's signature handbags in a salon-quality formula. 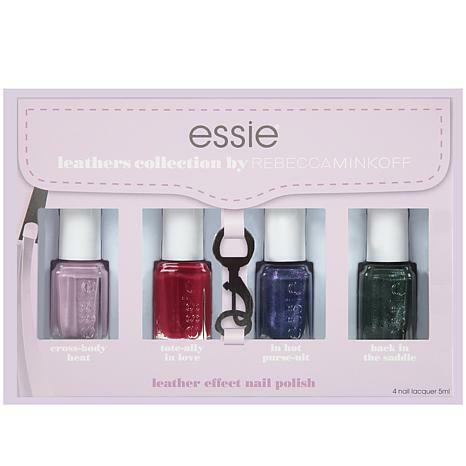 583281 ESSIE REBECCA MINKOFF COLLECT. I liked three of the colors. Good price. 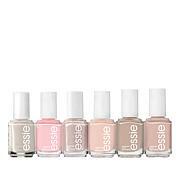 I'm already a fan of Essie brand nail polish. 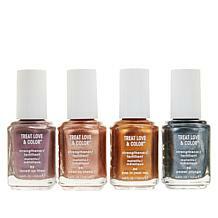 I love the mini collections and the price is very good. 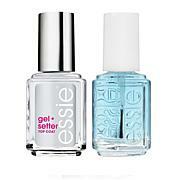 I use Essie gel top coat after applying any brand and I find that the polish lasts much longer. I would definitely recommend to at least give a mini collection a try. 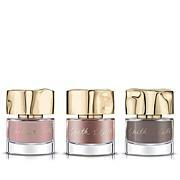 THIS IS BY FAR THE VERY BEST NAIL POLISH I HAVE EVER USED & I HAVE USED MANY. LOVE, LOVE, LOVE ALL THE COLORS IN THIS KIT TOO. I HIGHLY ADVISE IF YOU HAVEN'T TRIED ONE OF THESE KITS TO GO FOR IT, AT THIS PRICE IT'S WELL WORTH IT. FOR THE 1ST TIME I WAS ABLE TO ONLY APPLY 1 COAT, I USUALLY ALWAYS HAVE TO APPLY 2, NOW I KNOW WHY ESSIE CHARGES SO MUCH, IT'S A 1 COAT POLISH W/ REALLY COOL COLORS!